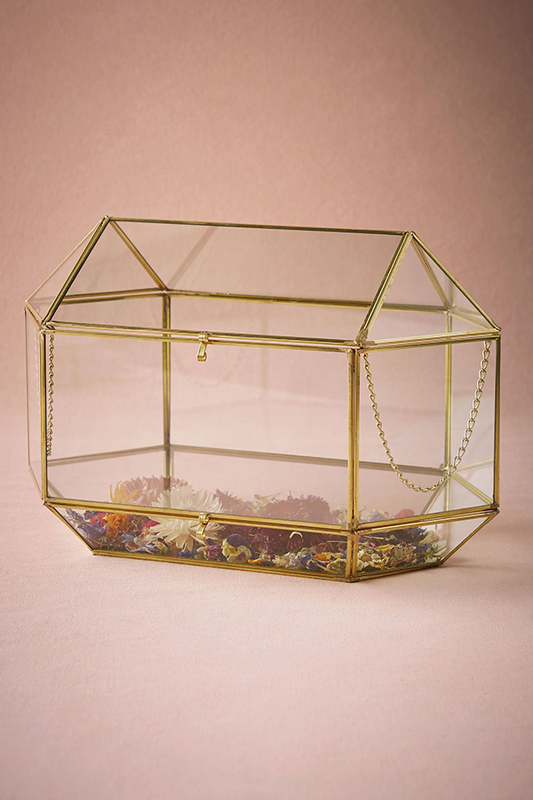 I am a huge fan of BHLDN ideas and I am excited today to share with a few of my favorite BHLDN wedding decoration ideas. 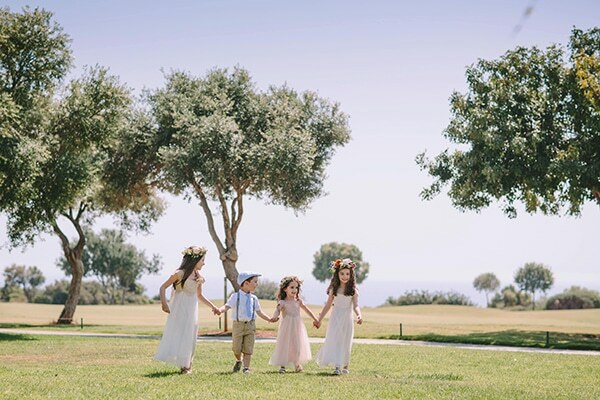 If you dreaming of a wedding that is brimming with unique and amazingly beautiful details… please read on and take in all the prettiness! 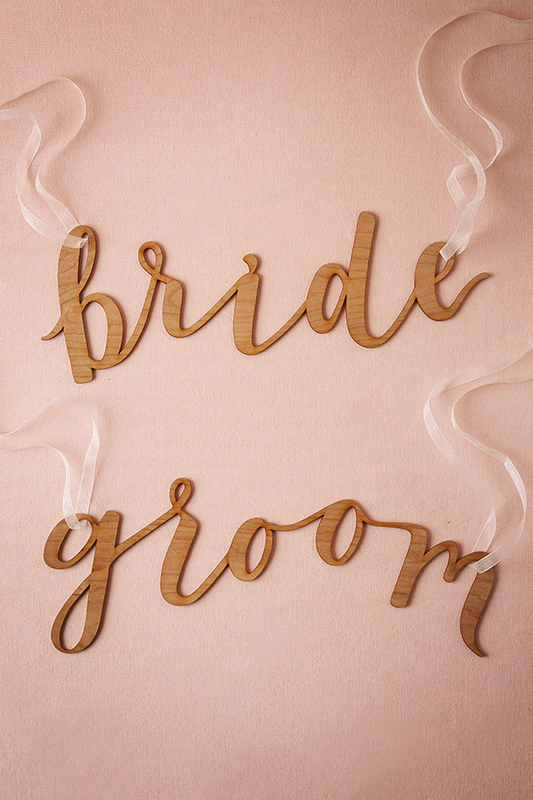 Gorgeous lasercut chair signs from eco-friendly cherry wood. So pretty! 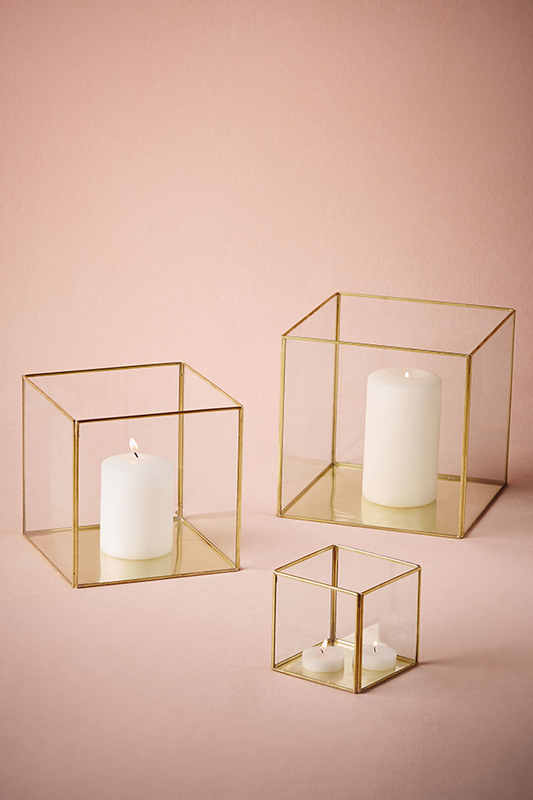 Aren’t these elegant gold framed boxes for your candles beautiful? 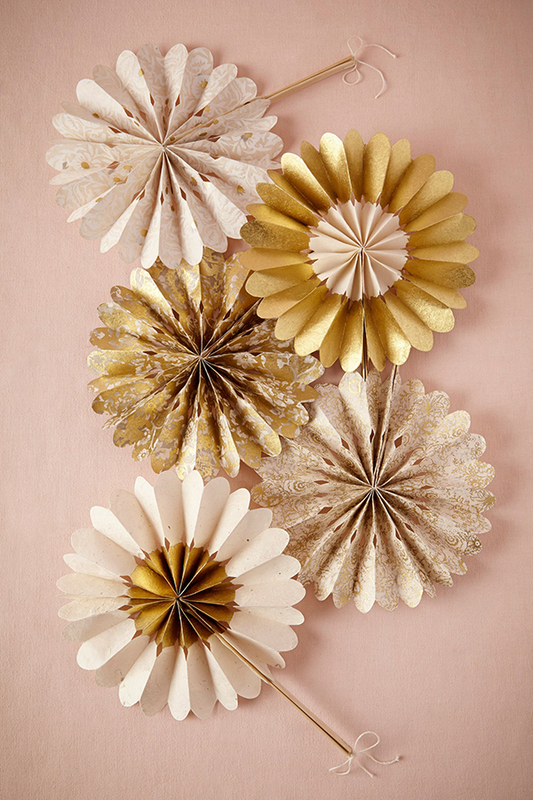 The hand folded Lokta paper fans are dusted in a variety of hues and patterns. A perfect idea for a summer wedding or even a destination wedding on a Greek island! 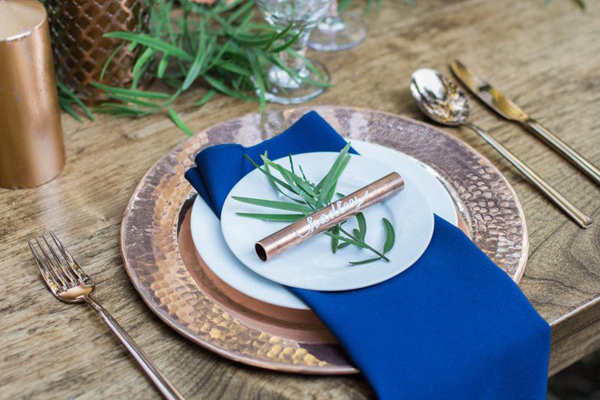 Also these stylish fans can be used as part of the wedding decor. 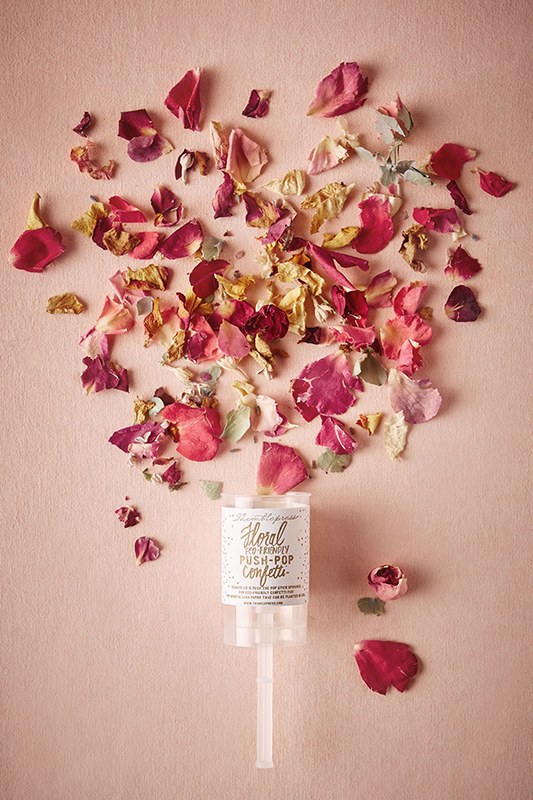 An eco-friendly celebratory push-pop from Thimble Press that is filled with small pieces of rose, lilac and hydrangea. The letterpress label is printed on seed paper and you can plant it later in your garden. 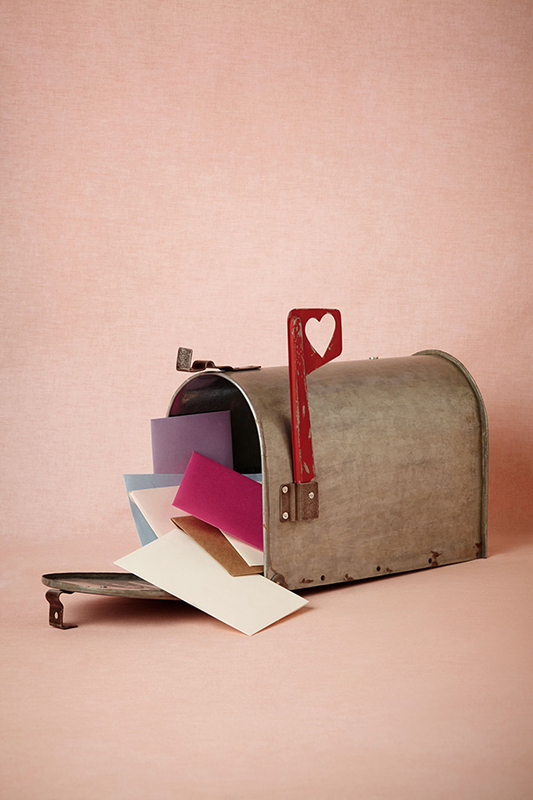 I love this idea for heartfelt messages of congratulations: an antiqued metal mailbox, complete with festive flag! 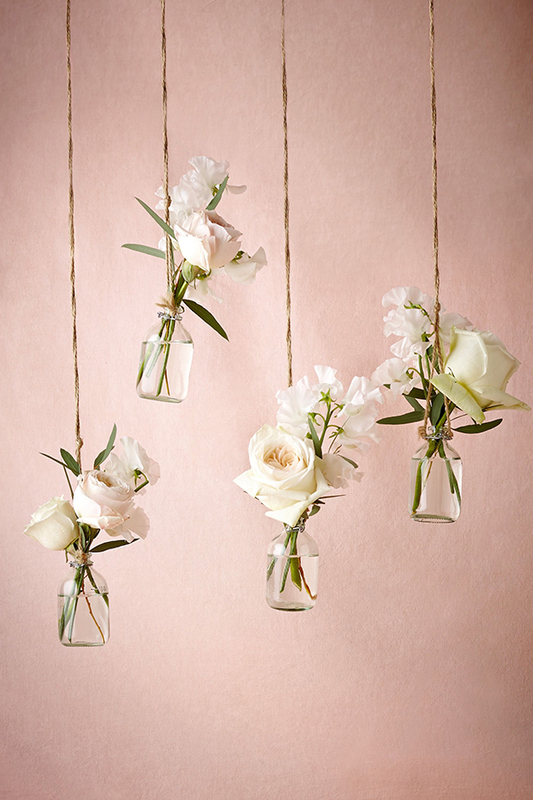 The hanging glass vases with delicate flowers is such a romantic decorative wedding idea! 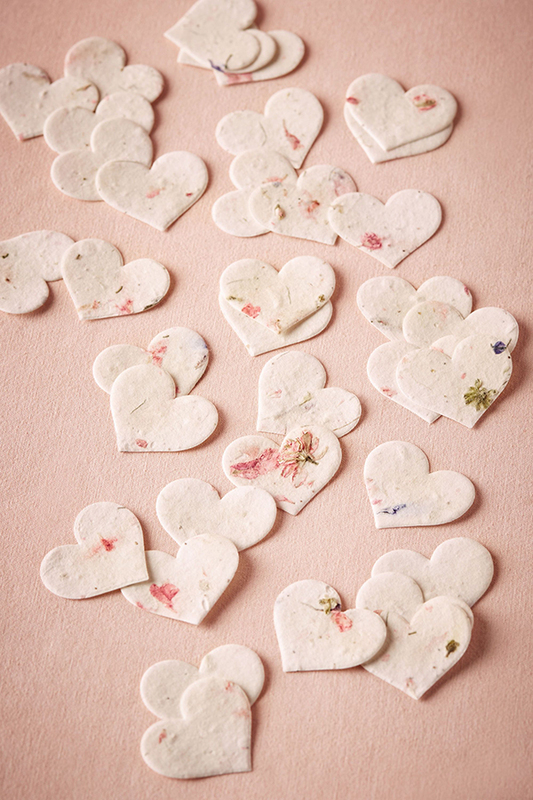 The die-cut paper hearts with wildflower seeds can be scattered as table display. 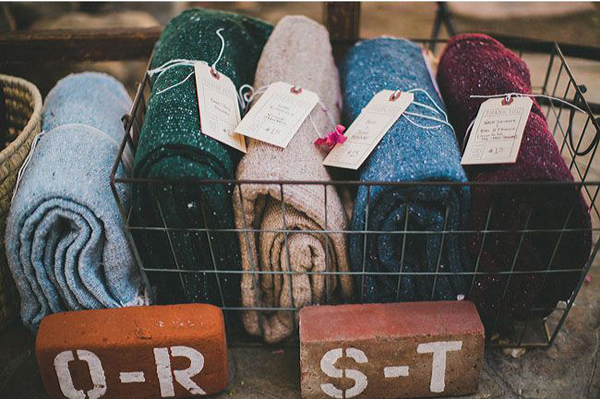 Also you can give them to your wedding guests as favors and can be planted after the wedding. Don’t you just LOVE the BHDLN wedding decorations ideas we presented today? Which one is your most favorite?